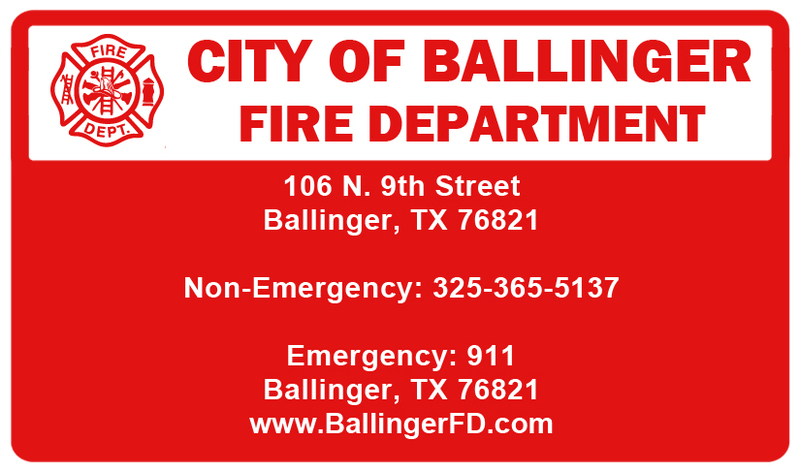 The Ballinger Fire Department was established in April of 1905, and has been dedicated to over a century of service to the community and surrounding neighbors. We have 1 paid firefighter and 27 volunteer firefighters on our roster. We serve the City of Ballinger (pop. 3700) and the Southeastern area of Runnels County. Our coverage area is approximately 450 Square miles. The community profile is Rural (Farming & Ranching) / Light Industrial.